When I write, I try to do it clearly using words and thoughts which may impress, but my intent is always to enlighten. As a screenwriter, I write what moves me and what I feel will move others. But as a digital content marketing writer for business, I write what moves products. As a digital marketing consultant, I'm often asked to write website content: from the wire frame structure, calls-to-action (CTAs), emails, eBooks, landing pages, and of course blogs. And often there are long debates and discussions about what to include and what to call it and how long or short it should be. Afterwards, I'm often asked to make the copy more ____*(fun, hip, youthful, financial, techy, you fill in the blank). My reaction is always the same. If content is king, then Google is the King's Army. 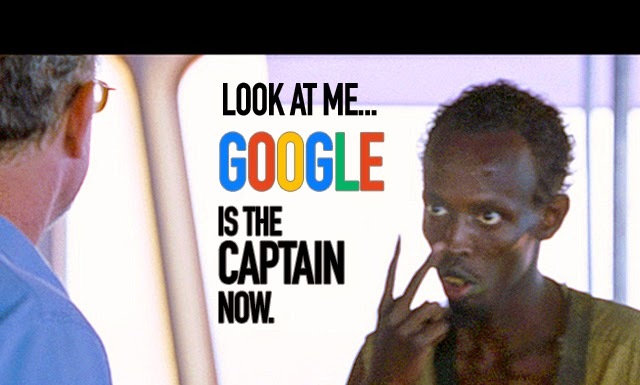 Just like that tense scene in "Captain Philips," I get serious, look the client in the eye and say: "Google. Google is the Captain Now. Google decides."